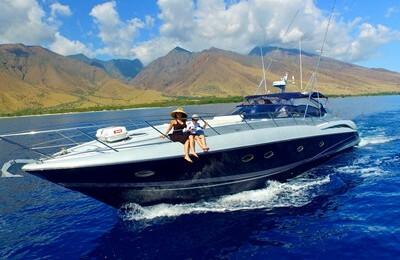 Welcome to charter this romantic sailboat out from Lahaina,Maui,experience 50 shades of blue. Maui’s beauty is endless, especially when viewing this unique island from the pristine tropical waters. Enjoy 50 shades of blue from the beach to deep ocean. Leave the crowded hotel alone, take all your loved ones to the ocean, where amazing scenery and wild life awaits you. 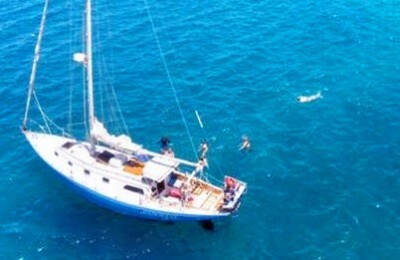 While aboard this French 43′ sailboat, you will love her beautiful design and spacious deck/under deck spaces. Sit back and relax, this sailing journey is right ahead. 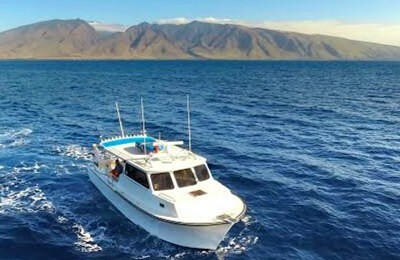 Thanks to the unique geography, the ocean is always flat around Lahaina, and ensures a comfortable ride. See some visting whales ( Seasonal Nov-Apr), have a close look at their giant backs and fins, some time even the entire whale breaches. Have a snorkeling experience in world’s best snorkel spot, make friends with green turtles and local octopus, kayaking to a coral reef, enjoy a day on Maui’s water. Please do not hesitate to ask our captain what you want, he is always there to help. Snorkeling reequires that you select five hours under “book now” and leaves at 8:30 AM. This early start avoids some of the tropical sun. However, don’t forget environmentally compliant sun-screen, or a T-shirt, since being underwater does not protect from the sun. The boat will provide bottled water, tropical fruit juice, and ginger ale as well as a deluxe fruit, cheese, and cracker platter. Boat, captain, fuel, Port fee, tax are all included in the price.